When you are carrying a Business, the most arduous task is to showcase exactly who you are, so that the audiences will know you better and come to you with open hands. Portfolio elements in a website are mandatory for the businesses who like to display their projects and past works so that the clients can get a taste of their work experience and talent in a short glimpse. 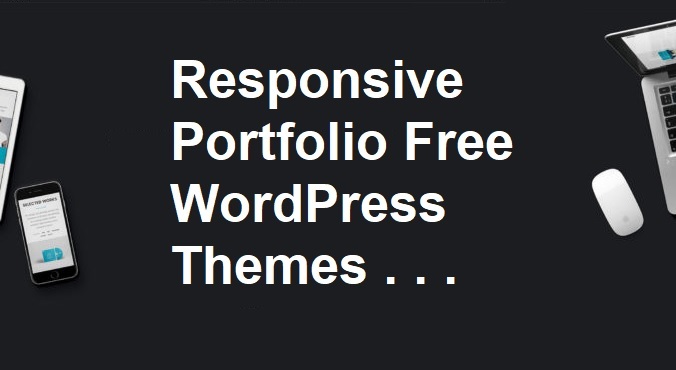 Modern business themes contain the portfolio feature integrated within them, but there are few themes available that are specific portfolio only WordPress themes. These Responsive Portfolio Free WordPress Themes will give you a head start with a set of tools, either you want individual work showcase or have projects of well-established companies. Images and content can be easily added to the new posts and the theme will display the article in a different gallery style. Images are the essence of a portfolio theme as appearance is the mirror for the online businesses. Let’s check out the following list of Top 15 Best Responsive Portfolio Free WordPress Themes for Graphic Designers that can help you better showcase your business. Fit for basically any kind of project. Lots of post formats and page layouts. Beautiful background image in the header part. Enticing logos, illustrations, and photographs. A wide array of featured images to a portfolio page. Lets you add sections for a call to action, testimonials, and more. Jetpack Tiles Galleries and Infinite Scroll. Live Customizer to know how the site looks with the changes. Translation features, threaded comments, and robust theme options. If you are a site owner, there is no exaggeration in knowing that you also want to have a boom in your business like others do. In this arena that we are living, it is the essence of advancement that is taking us higher and higher each new day. The aforementioned Responsive Portfolio Free WordPress Themes for Graphic Designers are the best examples that are of great help to uplift your business website with an incredible beauty and robust features. So, get ready to rock the web with these amazing themes. You can also check out some online professional PSD to WordPress conversion solutions for your business websites and blogs.